Experience the benefits of Memosens and take advantage of the ideal solution for measuring pH, conductivity, and dissolved oxygen! With Memosens, the measured analytical signals are transmitted via an inductive connector system – that is, without physical contact. The perfect galvanic isolation makes Memosens absolutely waterproof and resistant to dirt, corrosion, salt bridges, and interference potentials. By using pre-calibrated sensors, Memosens ensures maximum availability and lower maintenance requirements at the point of measurement. MemoSuite enables easy calibration of Memosens sensors in the lab so that you can replace your sensors in a matter of seconds. 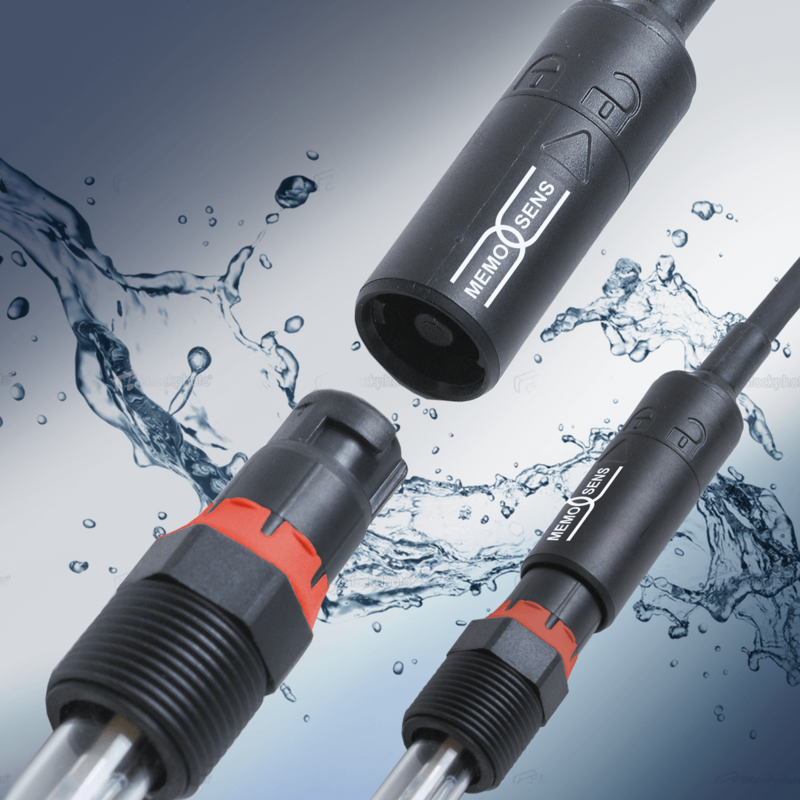 Thanks to the simple bayonet coupling, Memosens sensors can be easily handled under adverse conditions – even under water. An optimized process management significantly increases process availability. Extensive diagnostics functions help you monitor the sensor operating time, sensor wear, remaining lifetime, maximum temperature, as well as the calibration and adjustment data. In this way, the Memosens technology can reduce process downtimes and – thanks to the longer sensor lives – also your investment costs. Its outstanding features place the Memosens technology in an excellent position to face the individual challenges of analytical measuring tasks in a wide range of industries such as chemistry, petro chemistry, energy production, pharmaceutical and food industry and water/wastewater treatment. Memosens is suitable for use in Zone 0 hazardous areas. We offer you an extensive selection of Memosens devices and Memosens sensors for digital liquid analysis – with unique solutions even for complex measurement situations. Please contact us to find out how we can reduce your maintenance costs and extend the service lives of your sensors.